Apart from being a sleepy beach town, Grand Turk is most well known for its scuba diving and snorkeling on the southern shore. This island chain is a diving paradise, so diving enthusiasts or snorkelers usually look to do some underwater exploration. is a protected area within the Columbus Landfall National Park. There are fresh-water showers and restroom facilities as well as a snack bar. houses a 10,000 sq. ft. duty-free shop. This duty-free shop has everything from jewelry, fine liquors and wine to local art. It is conveniently located right at the port, which allows for last minute shopping and not carrying packages all around town. Between Margaritaville and Jack’s Shack restaurant/bar is a relatively quiet stretch of beach, there are some lounge chairs and not much else. The luxurious white sand beach beckons for you to enjoy a relaxing time on this exquisite beach. Or, you may choose to start your adventure by wandering around the island to explore nature; venturing about 50 yards from the beach into the beautiful coral reef that is alive with a multitude of colorful tropical fish and sea animals. The “Historic Island Tram Tour” on Grand Turk is an ideal way of seeing the Island, it collects every 15 minutes or so from Margaritaville and runs in a loop to the north of the Island, you can hop on and off at various points on the way round. The stops include Cockburn Town, the salt ponds, the old prison, and the Lighthouse. 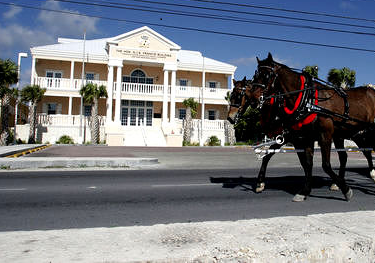 The Turks & Caicos National Museum is the “best little museum in the Caribbean” and called “a little gem” by travel blogs. It is open during the entire docking of cruise ships. Guinep House on Front Street of Grand Turk. 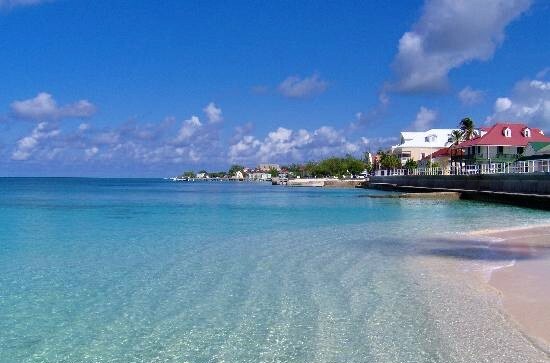 Situated on the 6-mile long Grand Turk Island, Cockburn Town is an intimate Caribbean paradise easily discovered on foot. The major streets of Duke and Front host landmarks, restaurants and the National Museum of Turks & Caicos Islands, which houses the oldest shipwreck in the western hemisphere, the Molasses Reef Wreck, the oldest shipwreck ever found in the western hemisphere. They have a gift shop and garden. Then have a taxi take you to Bohio Resort (Pillory beach!) for the best rum punch on the island! Walk along the seafront, you can snorkel from here, the beach is very safe, there are several bars, and small dive shops in this area. The architecture is Bermudian, and you will see plenty of ‘Potcakes’ Island dogs running around. 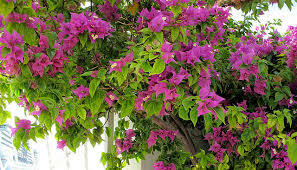 In this area you will find Haitian Markets. After exploring the town, head to the miles of sugary beaches and go diving, snorkeling or sailing across the turquoise. Try out the Guanahani Restaurant & Bar, lots of favorable comments on this. Wild horses, donkeys and flamingos roam by centuries old buildings, cannons, salt ponds and windmills. The Salt Ponds gives you an idea of how the island got its initial wealth, there is also a bar close by. The Alcatraz of the West Indies. Not much here, but worth a look, and you can get into Cockburn town easily. The prison has only just moved, an apparently the prisoners used to jump over the fairly low walls, get booze and jump back in! The prison is now located elsewhere. Look to spend a couple of hours here if you like walking. its quiet, the view are amazing, really unspoiled. The Lighthouse was made in the UK and shipped over! All these attraction have shops, toilets etc, great for families or those less mobile. The Sandbar restaurant also has great food, and one of the best burgers in the world. They also have great conch fritters. The Sandbar is the best place to watch the sunset with your favorite drink in hand. Enjoy the slow life and beautiful beaches. You can snorkel right in front of the Sandbar. Good place for lunch after diving. If they have fresh fish, go for it! Burgers aren’t bad either. Nice place to enjoy the view. Not many tables,and sometimes it takes awhile to get fed…there are seats ocean-side on the patio. The service for lunch is from 12 to 3 pm and dinner from 6 to 9 pm. Turks and Caicos cuisine is based primarily around seafood, especially conch. Conches might be an endangered and threatened species in other parts of the world but in the Grand Turks they are a cultural icon, viewed with the same kind of stature that traditional fish ‘n chips once enjoyed in England. 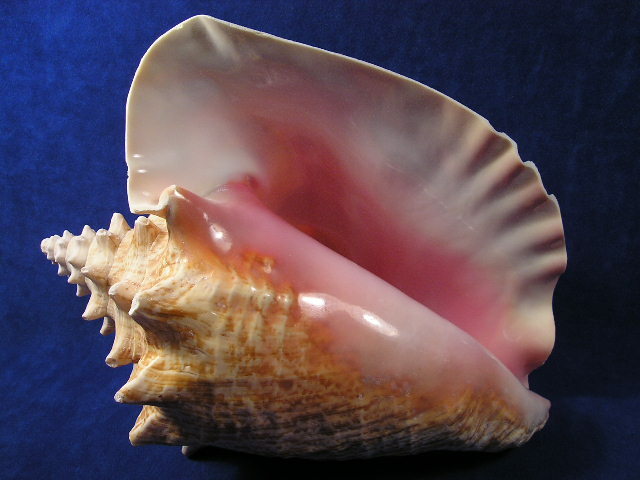 It takes a conch three years to reach adulthood but even then, their shells measure only six inches long. Since conchs can easily double that size during their 20 year life span, you can start to guess the age of some of the discarded shells you’ll find along the shore. Old age, however, makes their meat too tough and chewy to be considered good eating. Two common dishes, whilst not traditionally ‘local’, are conch fritters and conch salad. (Tuesday, November 5 Continuous beginning at 9:00am) – Snorkel the Grand Turk wall and enjoy a day at the beach with lunch, a welcome drink and a sun-lounger are included. Escape the crowds as you snorkel and relax at a small, intimate resort offering beach, bars, water activities, and the best restaurant on the island. After taking a taxi from the port area, you will arrive and be welcomed as a guest. Location: Grand Turk is the capital of the Turks & Caicos Islands archipelago and it is located 575 miles Southeast of Miami, Florida, and 30 miles south of the Bahamas. The Island is approximately 7 miles long and 1.5 miles wide. In 2002, the British Overseas Territories Act restored full British citizenship status to all inhabitants of British Overseas Territories, including the Turks and Caicos. The currency used in the island is the US dollar and their spoken language is English. The U.S. dollar is the official currency. Most hotels, restaurants and shops accept traveler’s checks and certainly credit cards. Grand Turk is in the Eastern Time zone. Temperatures in average between 24C and 29C (75F – 84F). 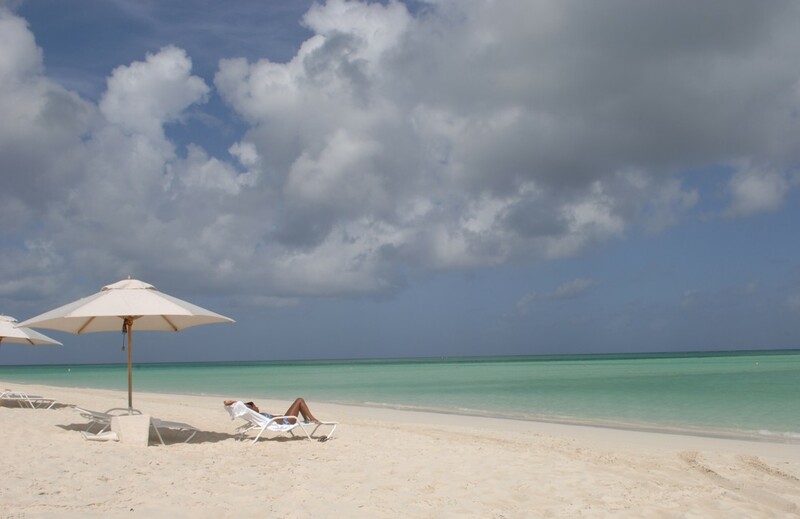 Turks and Caicos is drier than most islands in the Caribbean. A constant trade wind typically keeps the temperature at a very comfortable level. Turks and Caicos Islands has one of the longest coral reefs in the world, making it a premier diving destination.